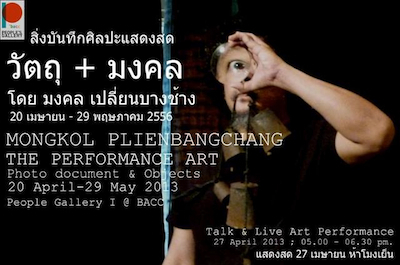 The Performance Art, an exhibition by Mongkol Plienbangchang, opened at BACC on 20th April. It will close on 29th May. The exhibition includes a sculpture from 2006, titled Crashing Horizon, which consists of a dead bird in a glass case, next to another case containing a plastic butterfly. 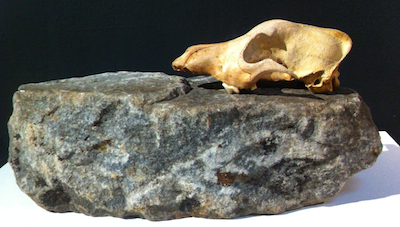 Another sculpture features a skull on top of a rock.